July marks Sandwich Generation Month and is a chance to pay tribute to adult children who are juggling the demands of raising kids while taking care of aging parents. The number of Americans 65 and older is projected to increase from 40 million in 2010 to over 88 million by 2050, doubling the ranks of those experiencing this stressful combination of responsibilities. In a letter to his girls, President Barack Obama wrote: "I want you to grow up in a world with no limits on your dreams and no achievements beyond your reach.….." Now that's a strong message from a father. 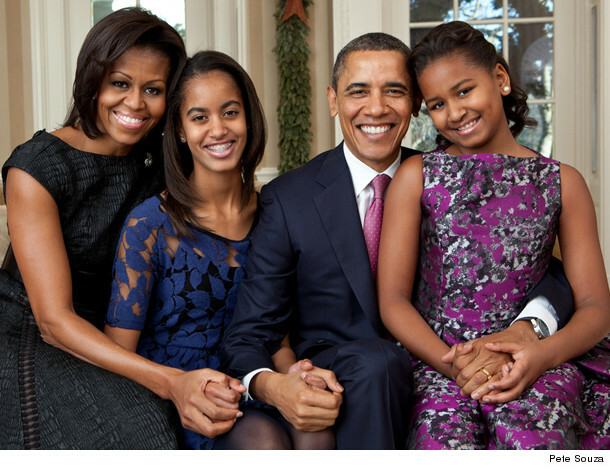 Some say that the Obamas are the kind of family they would like to be. Michelle has a healthy attitude about parenting that resonates for those with strong family values. She has talked about her personal struggle of juggling work and kids, not that different from any other ordinary American working mother. More than we might expect, given her training and high-powered career, the division of labor in the marriage has been fairly traditional. Michelle is an involved mom and has said that the wellbeing of her girls comes first.